well, it really seems there is now only Al Mourjan access granted with a PAID ticket in business or first. Some booking below, with explanations as to lounge access - used QCredits/QPoints. CNX-BEY using Q MILES, allowing AM but not AS even though DOH-BEY is in F. Believe this is an error. 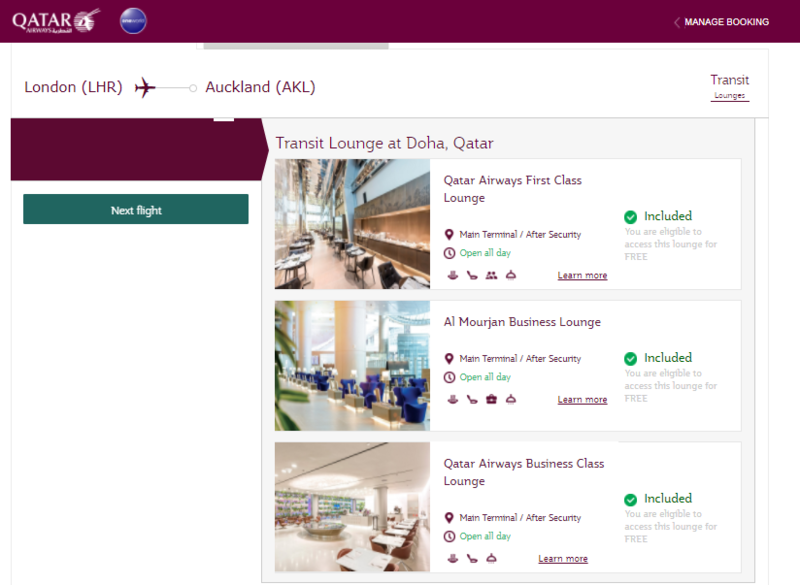 AKL-BEY using Q MILES, allowing AM but not AS even though DOH-BEY is in F. Believe this is an error. CDG-CAN in F using Q MILES, allowing AS. 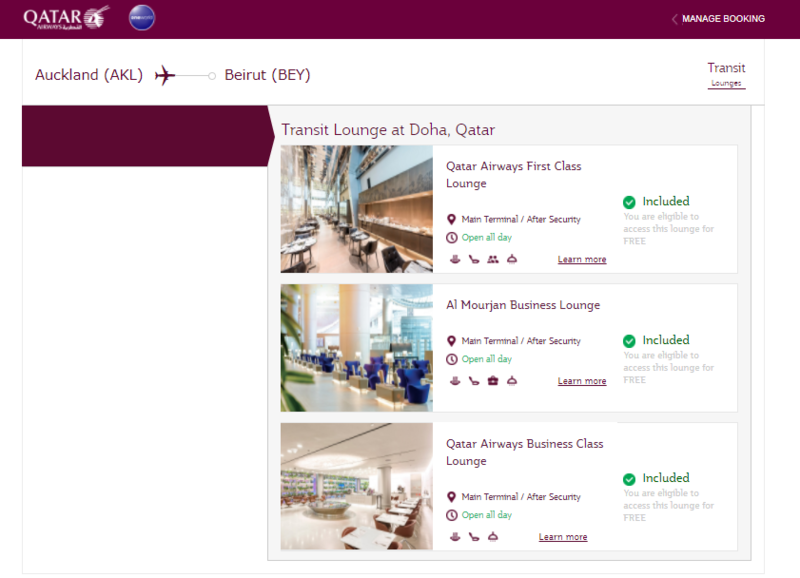 The way the QR online system appears to work from experience is it looks at the first segment only on multi-segment outbound or return flights when calculating what your lounge access will be. So taking a CDG-BKK with CDG-DOH in F but DOH-BKK in J it will show Al Safwa access, whereas CDG-DOH in J and DOH-BKK in F will show Al Mourjan access only despite the lounge access rights being the same as long as both connections are under 8 hours. Opposite for me. Used Qcredits to upgrade from Y to J for SIN-JFK and Qmiles to get a J award ticket outright for JFK-SIN in summer 2018. Website clearly shows I have access to AM lounge for both flights. I just flew CDG-DOH (in F) and DOH-SIN (in J) on an award ticket and was given access to AS lounge with no issues. In my booking it doesn't apply. I have a BKK-DOH in F ( upgraded with Qcredit ) and a DOH-MXP in J. The system doesn't show me AS access only AM. Why in heavens name would they limit access to AS for people actually flying First?However they paid for it. AS was dead empty compared to AM last time. What could possibly the reason behind that? In my booking it doesn't apply. I have a BKK-DOH in F ( upgraded with Qcredit ) and a DOH-MXP in J. The system doesn't shom me AS access only AM. I think the upgrade with Q-Credits is possibly the bit that's confused the system here and why it shows AM access only - I have a BKK-DOH F then DOH-LHR J booked at the moment (not upgraded with Q-Credits) and it shows AS access for me. lost_in_translation you apparently purchased BKK-DOH in F so you would have access in accordance with the rules stated in the Wiki on QR Lounges at HIA . This thread is about lounge access with upgrades so you, accidentally, are confusing the issue. This thread is indeed very confusing as QR seem to be changing the access rules frequently at the moment. Please do not take this as a criticism, it is not. Your posts are much appreciated. This post is purely to avoid further confusion. For what it's worth, I had a BKK-DOH-FRA C-ticket with BKK-DOH upgraded to F using Qcredits and I got access to AS (was displayed as included in manage my booking / buy lounge access). No problems to access to AS. Upgraded with QCredits. Used the elevator. 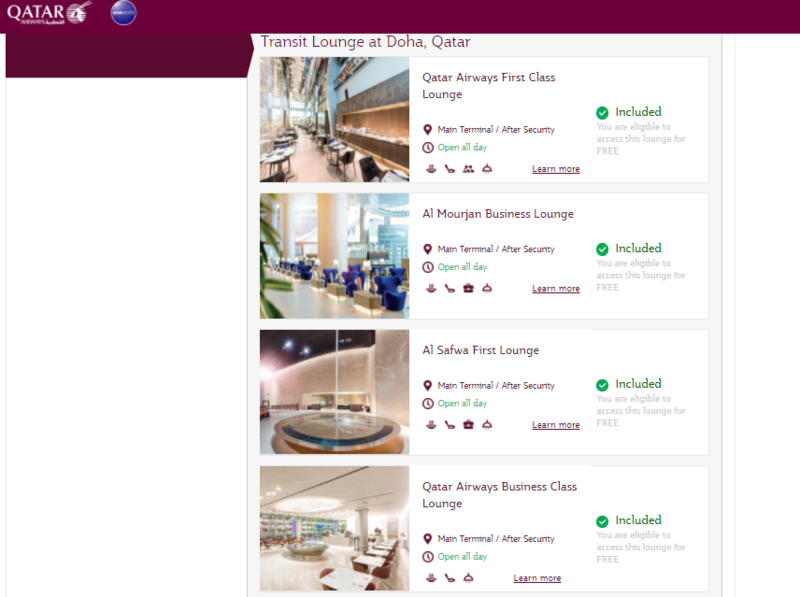 Route DOH-BKK J-F.
OK, customer service confirmed to me by email i will have Al Mourjan access on my flight from Doha to EU with a business ticket which i upgraded in advance some weeks ago with miles. In my mange my bookings it still shows no AM access. Can only buy. Pleased if you could share by P/M with me QR customer service's confirmation on this. I'm in the same circumstance with a 3.5 hr transit in DOH arriving in H from OHS and leaving DOH for MEL in U, mid Feb 2018. "Manage my booking" show me i will have Al Sawfa access!